This article describes updates being made to the ISO 14971 Standard in the new draft version released for comment in July 2018. There are two versions of ISO 14971 that are currently available. The first is the international version: ISO 14971:2007. The second is the European normative version: EN ISO 14971:2012. There is also a new draft being created by the TC210 committee for release in 2019. In 2000, the first edition of ISO 14971 was released as the international standard for risk management of medical devices. In 2007, the second edition of ISO 14971 was released. When new international standards are released, a European normative version is also released. The “European Norm” or EN version is intended to identify any gaps between the international standard and the requirements of the applicable European directives (i.e., the MDD, AIMD and the IVDD). These gaps historically were included in the ZA annex at the end of the EN version. However, in 2009 this annex was split into three annexes (i.e., ZA, ZB and ZC) to address each of the three directives separately. In reality, the 2009 annex only differed with regard to the directive referenced. In 2012, a new EN version was released. This new standard included 7 deviations which were controversial. These deviations were intended to identify contradictions between the directives and the international standard, but the interpretations were not agreed with by companies or most of the Notified Bodies. Ultimately, the 7 deviations were required to be addressed in the risk management files for any medical device that was CE Marked. What changed between ISO 14971:2007 and ISO/DIS 14971:2018? The TC210 working group assigned to update the ISO 14971 standard (JWG1) was tasked with improving guidance for implementation of ISO 14971, but the committee was also tasked with making these improvements without changing the risk management process. In addition, the committee was asked to move the informative annexes at the end of ISO 14971 from the standard to the guidance document ISO/TR 24971. Therefore, in July the committee released a draft for comment and voting. Draft versions are identified with the prefix “ISO/DIS.” The ISO/DIS 14971 standard released in July has only three annexes: A) Rationale for the requirements, B) Risk management process for medical devices, and C) Fundamental risk concepts (formerly Annex E). The other 7 annexes were moved to the draft of ISO/TR 24971. The reason stated for moving these Annexes to the guidance document was to make future revisions to the guidance easier to implement, because it is a guidance rather than a standard. However, there were also some objectionable recommendations in the informative annexes that were the subject of deviation #3—ALARP from Annex D.8 vs. “As far as possible” in the first indent of section 2 of Annex I in the MDD. Section 7.4 is now “Benefit/Risk” analysis instead of “Risk/Benefit” analysis—although the draft flow chart does not reflect this. There is also more detail in the diagram under the phases for: 1) risk analysis, 2) risk control, and 3) production and post-production activities. Three new definitions are introduced in the draft standard: 3.2, benefit; 3.15, reasonably foreseeable misuse; and 3.28, state of the art. The section for identification of hazards, Clause 5.4, was reworded and expanded to consider the reasonably foreseeable sequences or combinations of events that can result in a hazardous situation. The draft standard now states that your risk management plan must also include a method to evaluate the overall residual risk and the criteria for acceptability of the overall residual risk. In the section for risk estimation, Clause 5.5, the draft standard states that if the probability of the occurrence of harm cannot be estimated, the possible consequences shall be listed for use in the risk evaluation and risk control. The risk control option analysis priorities in section 7.1 are updated to match the new MDR, Regulation (EU) 2017/745, nearly exactly. In section 9, risk management reports were changed to risk management review and the clause now requires determining when to conduct subsequent reviews and when to update reports. This emphasizes the requirement to continuously update risk management documentation with input from production and post-production information. This mirrors the emphasis on continuously updating post-market clinical follow-up in Regulation (EU) 2017/745, Annex XIV, Part B, Section 5; and continuously updating clinical evaluations in Regulation (EU) 2017/745, Annex XIV, Part A, Section 1. Will ISO 14971:2019 address the 7 Deviations in EN ISO 14971:2012? The new MDR, Regulation (EU) 2017/745, revised and clarified the wording of the essential requirements in the MDD. The MDR attempts to clarify the requirements for risk management files of CE Marked products, but the MDR remains different from the requirements of ISO 14971. Unfortunately, because the ISO/DIS 14971 was not intended to change the risk management process of ISO 14971:2007, there will continue to be “deviations” between the MDR and standard. Some people have tried use ISO/TR 24971, the risk management guidance, as the official interpretation of how the risk management standard. However, the guidance is also a product of the TC210 committee, and it does not meet all requirements of the MDD or the MDR. The new draft does, however, include changes that address some of the deviations in EN ISO 14971:2012. Below, each of the 7 deviations are listed and hyperlinks are provided to other articles on each individual deviation. Negligible Risks – The word “negligible” was only in one location in the body of the standard as a note referring to Annex D.8. In the draft, Annex D was removed and relocated to ISO/TR 24971, and the note was eliminated from Clause 3.4—now Clause 4.4 in the draft. This deviation should be fully resolved by the draft. Risk Acceptability – Clause 7 was renumbered to Clause 8 in the draft, but the title of this clause was also changed from “Evaluation of overall residual risk acceptability” to “Evaluation of overall residual risk.” However, if you read the Clause it still refers to determining acceptability of risks. In note 2 of Annex ZA of the draft, it states that determining acceptable risk must be in compliance with Essential Requirements 1, 2, 5, 6, 7, 8, 9, 11 and 12 of the Directive. This deviation should be fully resolved by the draft. ALARP vs. “As far as possible” – The European Commission believes that the concept of “ALARP” implies economic considerations, and some companies have used economics as a reason for not implementing certain risk controls. ALARP was eliminated from the notes in the risk management plan clause and by moving Annex D.8 to ISO/TR 24971 and adding note 1 in Annex ZA. This deviation should be fully resolved by the draft. Benefit/Risk Analysis – The contradiction in requirements between the International Standard and the MDD, as it relates to determining when a benefit/risk analysis must be conducted has not been updated. This deviation is not resolved by the draft. Companies that CE Mark products will need to perform a benefit/risk analysis for all residual risks and all individual risks—despite the wording of the standard. Risk Control – The contradiction in requirements between the International Standard and the MDD, as it relates to determining when risk controls must be implemented. The International Standard gives companies the option to avoid implementation of risk controls if the risk is acceptable, while the MDD requires that risk controls be implemented for all risks unless the risk controls create additional risks that increase risks or the risk controls do not actually reduce risks further. This deviation is not resolved by the draft. Companies that CE Mark products will need to implement risk controls for all individual risks—despite the wording of the standard. Risk Control Options – The intent of Clause 6.2 in ISO 14971:2007 was likely to be the same as the MDD. However, the European Commission identified the missing word “construction” as being significant. Therefore, to prevent any misunderstandings, the TC210 committee copied the wording of Regulation (EU) 2017/745. This deviation should be fully resolved by the draft. IFU Validation – Again, to prevent any misunderstandings, the TC210 committee copied the wording of Regulation (EU) 2017/745. However, the examples of information for safety (i.e., warnings, precautions and contraindications) were not included. Hopefully, the final version of 3rd edition will include these examples. Clause 8, evaluation of overall residual risk, was also reworded to state, “the manufacturer shall decide which residual risks to disclose and what information is necessary to include in the accompanying documentation in order to disclose those residual risks.” This deviation should be fully resolved by the draft. Recommendations for your Risk Management Process? The most important consideration when establishing a risk management process for medical devices is whether you plan to CE Mark products. If you intend to CE Mark products, then you should write a procedure that is compliant with the current requirements of the MDD and future requirements of Regulation (EU) 2017/745. Therefore, the 7 deviations should be addressed. In addition, you need to maintain compliance with the current version of the Standard. Your procedure should also be integrated with other processes, such as: 1) design control, 2) post-marketing surveillance, and 3) clinical evaluation. Your procedure must clearly indicate the priority for implementation of risk control options. The best strategy for ensuring risk control priorities are compliant is to copy the wording of the new EU Regulations verbatim. Your process should include performing benefit/risk analysis. You should also define your process for risk management review. Your review process should specify when subsequent reviews will be done and when your risk management report will be updated. Finally, you should identify a post-market surveillance plan for each device, or device family, and use that post-market surveillance data as feedback in the risk management process. The one element that appears to be weakly addressed in the body of the standard is the requirement for traceability of each hazard to the other elements of the risk management process. Although traceability is mentioned in Clause 3.5 of the 2nd edition, and Clause 4.5 of draft 3rd edition of ISO 14971, that is the only place is mentioned in the body of the standard. Traceability is mentioned several more times in Annex A, but the focus seems to be on the risk management file. Companies need more guidance on how to achieve this traceability. The appropriate place for this guidance is probably in ISO/TR 24971, but in order to maintain this documentation it is likely that a software database will be critical to maintaining traceability as changes are made during design iterations and after commercialization. This type of software tool is also need to expedite the review of risk management documentation during complaint investigation. Which Risk Analysis Tool should you use? Preliminary Hazard Analysis (PHA) – This process is absolutely critical during development of design inputs. It is also the most underutilized analysis tool. I have not seen a single example of this tool written in a procedure by any medical device company. I believe this process should be continuously updated as part of training new design team members and should be both product and project specific. Fault-tree Analysis (FTA) – This process is a top-down approach to risk analysis. It is heavily utilized by transportation engineers when intersections are designed, and accidents are investigated. This tool depicts risk analysis pictorial as a tree of fault modes representing each possible root cause for failure. At each level of the tree, fault mode combinations are described with logical operators (i.e., AND, OR). The information displays frequency of each fault mode quantitatively. Therefore, when you are investigating a complaint, the tree can be used to help identify possible fault modes that may have been the root cause of device failure. You may also be interested in the standard specific to Fault tree analysis (FTA): IEC 61025:2006. Failure Mode and Effects Analysis (FMEA) – This process is a bottom-up approach to risk analysis. It is heavily utilized by the automotive and aerospace industries. This tool systematically lists all failure modes in groups organized by component. Risks are estimated based upon severity of effect, probability of occurrence and detectability. Over time, the FMEA process split into three tools: 1) process FMEA (pFMEA), 2) design FMEA (dFMEA), and 3) use FMEA (uFMEA). The first is ideal for analyzing and reducing risks associated with manufacturing of devices. In particular, the detectability factor can be linked closely with process validation. The second evolved from the realization that detection of a risk after the device is in the user’s hands does not actually reduce risk. A risk reduction only occurs if detectability is proactive. Therefore, this was stated in Annex G.4 and companies began to eliminate detectability and continued to use FMEA as their primary tool. Due to the widespread familiarity with the FMEA tool, usability FMEAs became popular for documenting risks associated with use of a device. Unfortunately, the only real advantages of a dFMEA and uFMEA are familiarity with the tool. You may also be interested in the standard specific to FMEA: IEC 60812:2018. Hazard and Operability Study (HAZOP) – In addition to the risks of using devices, there are also risks associated with the production of devices. Processes related to coating, cleaning and sterilization are all processes that typically involve hazardous chemicals. The chemical and pharmaceutical industries use HAZAP as a tool to analyze these process risk and prevent injuries. You may also be interested in the standard specific to HAZOP: IEC 61882:2016. Hazard Analysis and Critical Control Point (HACCP) – This process is primarily used by the food industry to prevent the spread of contaminated food supplies. Even though it is not typically used by medical device manufacturers, it should be considered as a tool for managing the supply chain for devices. This model is useful when manufacturing is outsourced, or secondary processing is conducted at second and third-party suppliers. Since many FDA inspectors started in the food industry as inspectors, this is also a method that is supported by the FDA as a risk control process for outsourced processes. How to document your risks? For simple devices, risk management documentation is a burdensome task. For complex devices, a spreadsheet could include hundreds of lines or more than even one thousand individual lines. In addition, the requirement for traceability requires additional columns in a table. Therefore, it becomes nearly impossible for you to include all the required information on a page that is 11 inches wide. If you expand your page to 17 inches wide, the size of your font will need to be very small. If you make a change, your spreadsheet can be difficult to update quickly. You could purchase a 43” widescreen TV for your monitor, or you can use dual monitors for your display, but changes remain difficult to implement without a mistake. You need to stop relying upon spreadsheets. Use a database, and don’t use Microsoft Access. Purchase a database that is designed to document design controls and risk management traceability. If your company has software expertise, develop your own software tool to do this. You should also design standardized templates for exporting your reports. By doing this, it will only take minutes to create an updated report when you make design changes. If you describe the risk management activities as notes in your software, the description of these activities can also be automatically converted into summary pages for each report summarizing that risk management activity. You can even prompt the user to answer questions in the software to populate a templated document. For example, you can prompt users to input subsequent updates of your risk management reviews and that can be automatically converted into a summary paragraph. This reporting capability is especially helpful when responding to FDA review questions asking for cybersecurity risks. The risk management training webinar was being completely rewritten to address changes proposed in the new draft of ISO 14971 (i.e., ISO/DIS 14971) released in July 2018 and European requirements for compliance with Regulation (EU) 2017/745. The webinar was live on October 19, 2018; but it was recorded for anyone that was unable to participate in the live session. SYS-010, Medical Device Academy’s Risk Management Procedure, is compliant with EN ISO 14971:2012. The procedure includes templates for documentation of design risk management and process risk management. However, we are rewriting the procedure for compliance with ISO/DIS 14971:2018 and Regulation (EU) 2017/745. The new version of the procedure will be available on or before October 26, 2018. The procedure is temporarily available at a discounted pre-order price, but the cost will increase to $299 once the new version is available. ISO 10993-1-2018 Biocompatibility – What’s new? The new 5th edition of the biocompatibility standard, ISO 10993-1-2018, was released in August and this article explains the changes and potential impact. ISO 10993-1-2018 is the 5th edition of the biocompatibility standard for evaluation of medical devices. The new version, released in August, replaces the 2009 version of the standard. I was unable to find a European version of this standard, but you can expect one to be made available very soon–probably before you read this article. If your company is CE Marking devices, once the European standard is released you will be required to perform a gap analysis against the new standard and assess whether retesting is required for your products in order to remain compliant with CE Marking requirements. The FDA has not yet added ISO 10993-1-2018 to the recognized standards database, but the FDA guidance on the use of ISO 10993-1, released in February 2016, already addressed most of the changes contained in the new 5th edition. In addition, instead of tests to be conducted being identified with an “X,” the updated table now identifies endpoints to be considered with “E.” The only column containing an “X” is the column for physical and/or chemical information. This information is identified as a prerequisite for a risk assessment. The new Annex A is now 5 pages in length. Additional information on the evaluation of non-contacting medical devices and transitory-contacting medical devices was added. Expansion of the standard to include evaluation of nanomaterials and absorbable materials. This includes addition of section B.4.3.3 in Annex B for guidance on pH and osmolality compensation for absorbable materials. An additional reference to ISO 18562-1, -2, -3 and -4, for “Biocompatibility evaluation of breathing gas pathways in healthcare applications,” was added as well. However, the four standards in the ISO 18562 series should be purchased if you are conducting a biocompatibility evaluation for a device of this type (e.g., respiratory gas humidifiers). There are also many minor changes in the 5th edition, but Annex C is almost identical to the previous version. The only change I noticed was the addition of “Preference may be given to GLP over non-GLP data,” to clause C.2.3. Table A.1 in Annex A is quite similar to Table A.1 in the FDA guidance, and 100% of the columns match except the column for “physical and/or chemical information.” Although, the FDA guidance does not have a column in the table indicating that physical and chemical characterization is required as a prerequisite for the risk assessment, it is very clear from the language in the guidance that information about the physical and chemical characteristics of the device “should be provided in sufficient detail for FDA to make an independent assessment during our review and arrive at the same conclusion.” The FDA guidance also requires information about the surface properties of the finished device. The FDA included a section specific to “Submicron or Nanotechnology Components,” which is consistent with the ISO 10993-1-2018 where there references throughout the standard to ISO/TR 10993-22, Guidance on nanomaterials. The FDA guidance does not, however, include guidance on pH and osmolality compensation for absorbable materials. The FDA guidance also does not include a reference to the ISO 18562 series of standards, but the FDA product classification database was updated in June to include reference to the ISO 18562 series of standards when they were added to the database of recognized standards. The 4th edition of the EN version has Table ZA.1 explaining the correlation between the standard and the European Directive. Specifically, Clauses 4, 5, 6 and 7 of the European Standard correspond to Annex I, Essential Requirements 7.1, 7.2 and 7.5 in the MDD. In the new Regulation (EU) 2017/745, these clauses correspond with Annex I, Essential Requirements 10.1, 10.2 and 10.4. Therefore, you should expect the European version of ISO 10993-1-2018 to include a table similar to Table ZA.1, but you should also anticipate that your evaluation of biological risks will need to be updated and additional testing may be required in order to remain compliant for any devices that are CE Marked. As in the previous version of the biocompatibility standard, Figure 1 is a decision tree that follows the biological evaluation process outlined in the standard. At first glance, the updated Figure 1 appears to be essentially unchanged. However, even though the updated figure has exactly the same shape and the same number of elements, there are subtle changes. For example, the potential effects of geometry is emphasized in the ISO 10993-1-2018. The more significant change in the process is at the end. Where it used to say, “Testing and/or justification for omitting suggested tests,” the updated figure now includes a reference to Annex A under those words. Where it used to say, “Perform Biological Evaluation,” the updated figure now says, “Perform Toxicological Risk Assessment (Annex B)”. Annex B is where the most visible changes are found in the ISO 10993-1-2018. For example, in the previous version of the biocompatibility standard, there was a reference to creating a prospective, biological evaluation plan as part of the risk management plan. In the 5th edition, clause B.2.2 outlines the Biological Evaluation Plan–which is sometimes referred to by its acronym of “BEP” by third-party testing labs. However, the guidance provides details for each step, as well as general guidance on when changes may require re-evaluation of biological safety, GLPs and biocompatibility evaluation documentation. In general, the focus of ISO 10993-1-2018 is now on the evaluation of toxicological data in Annex B, rather than passing a few required tests that were previously identified in Table A.1. Will ISO 10993-1-2018 Require you to Retest for Biocompatibility? In general, I do not expect that the changes to ISO 10993-1-2018 will require extensive retesting for your company. However, you can expect a significant amount of rewriting of your biological evaluation report to be required. Now you will need to more fully characterize the physical and chemical characteristics of your device, and you will need to provide a more comprehensive biological safety assessment–including an evaluation of toxicological data for each chemical including in the formulation of your device. It’s possible that you may even identify certain chemicals in the material formulation that prevent you from using a material–even though the material may have passed all biocompatibility tests in the past. I will also need to update one of my own articles on biocompatibility and a biocompatibility webinar. This article identifies the requirements for purchasing controls and supplier qualification procedures, as well as best practices for implementation. 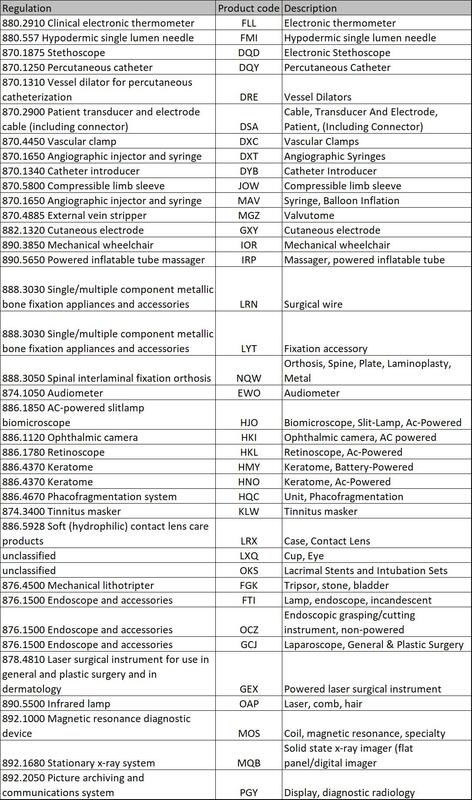 Sourcing suppliers in the medical device industry is not as simple as going on the internet and finding your material and purchasing it. As part of a compliant quality management system, purchasing controls must be in place to ensure that quality product and materials are going into your device, and that any service providers that your company uses in the production of your product or within your quality management system are qualified. The organization must have established criteria for the evaluation and selection of suppliers. The criteria need to evaluate the supplier’s ability to provide product that meet the requirements. It needs to take into consideration the performance of the supplier. It must consider the criticality and the effect that purchased product may have on the quality of the medical device. The level of supplier assessment and monitoring should be proportionate to the level of risk associated with the medical device. To start, in the most basic sense, purchasing controls involve procedures that ensure you are only purchasing from suppliers who can meet your specifications and requirements. The best way to keep track of your qualified suppliers is to maintain an Approved Supplier List (ASL). You should only purchase product or services that affect your product or quality management system from companies on the ASL (you would not necessarily need to qualify things like office supplies or legal assistance through purchasing controls). The first step in your purchasing procedure should involve checking to see if the supplier is under active approved status on the ASL. The second step will be to ensure that you are purchasing an item/service that is within the scope of approval of that supplier. If you have not approved the supplier, or the intended purchase is beyond the scope of that supplier, your purchaser will need to go through the necessary channels to add the supplier to the ASL, or modify their scope on the ASL. As required by the FDA, the level of supplier assessment should be proportionate to the level of risk associated with the medical device. The FDA is not prescriptive about the use of specific qualifications or assessments for different types of suppliers, so that is up to your company to determine. This is a somewhat grey area, but based on years working with companies and suppliers, as well as participating in FDA and ISO 13485 audits, there are some general expectations of vendor qualifications that we have observed and would recommend. It is good practice to have a form or template that guides your supplier evaluation process. Using input from engineering and QA to first determine the level of risk and the requirements of that supplier, and then base your qualification plan on that information. If you have a higher risk supplier who may be supplying a critical component to your device, or providing a critical service such as sterilization, then your qualification process will be much more involved. Here is an example of two different levels of criteria based on the type of supplier (the intent is not for the following items to be rules, and your company is responsible for determining the adequate acceptance criteria for suppliers, but this is a general example of what you may expect). Written agreement that the supplier will communicate with the company regarding any changes that could affect their ability to meet requirements and specifications. Product available that meets the needs of the company. An associate has previously used by an associate who recommends the supplier. Adequate customer service, returns allowed. The supplier evaluation form can also be used as the plan to assign responsibility and track completion and results during the initial evaluation, and can also include the plan for ongoing monitoring and control of the supplier. This evaluation form should be maintained as a quality record, and auditors will frequently ask to see supplier evaluations. Are Supplier Audits Required as Purchasing Controls? Also valuable, supplier audits may be included as part of an evaluation plan for a new supplier, the change of scope of a supplier, a routine audit as part of ongoing monitoring, or as part of a non-conformity investigation of a high-risk product. While it is not required by ISO 13485, nor does the FDA does specify in the CFR that you must audit suppliers, it is a very good idea to audit your critical suppliers. If an auditor or FDA inspector sees evidence that your current purchasing controls are inadequate, performing supplier audits may be forced as a corrective action. Beyond that, you can gain so much value, and gather countless clues and important information in an audit that you just cannot get without paying your critical supplier a visit. You can see where they plan to/are making/cleaning/sterilizing/storing your product. Talk to the people on the line, are they competent and trained? Does the company maintain their facility well? How secure is it? Do they maintain adequate records and traceability? Have there been any non-conformities relating to your product that have been detected? Etc. Supplier audits should also include evaluation of the procedures, activities, and records of the supplier that could have an impact on the product or service they are providing your company. If it is not the first audit of the company, you should be sure to review the previous audit report findings, and ensure the company has addressed any nonconformities, review supplier performance data, information about any changes that may have occurred at the supplier since your last visit, etc. Copies of any non-conforming material reports related to the supplier, etc. ISO 13485 requires monitoring and re-evaluation of suppliers, and maintaining detailed supplier files will assist in meeting this requirement, and will help in the feedback system to identify and recurring problems or issues with a supplier. On a planned basis, whether that is annually, or every order (dependent on the criticality of the product), your company should conduct a formal supplier evaluation to determine whether the supplier has continued to meet requirements – In general, annual supplier reviews are standard. Additionally, you must specific this frequency in your procedure (auditors will look for what period you specify in your procedure, and then will check your ASL to make sure all of your suppliers have been reviewed within that timeframe). During the supplier evaluation, if you find there have been issues, you need to determine and weigh the risks associated with staying with that supplier, and document that in the supplier file. If you determine the supplier should no longer be qualified, then you must also indicate on the ASL that the company no longer approves of the supplier. When you have verified your supplier is approved on the ASL, you are authorized to purchase product. Engineering is usually responsible for identifying the product specifications, requirements for product acceptance, and adequacy of specified purchasing requirements prior to communication to the supplier. The specifications may be in the form of drawings or written specifications. Additional information communicated to the supplier should also include, as applicable, an agreement between your company and the supplier that the supplier will notify you prior to the implementation of changes relating to the product that could affect its ability to meet specified purchasing requirements. When the first batch of product is received from a particular supplier, it is a good idea to verify that the product performs as intended before entering into production with a new material or component. From time to time, you may encounter issues with a supplier. Sources of nonconformity include incoming inspections, production nonconformities, final inspection, or customer complaints. It is important that you notify your supplier the nonconformity and record their response and assessment. Depending on the level of criticality of the vendor, it is reasonable to require them to perform a root cause analysis to determine and alleviate the cause of failure. You should also request documentation of an effectiveness check to ensure the supplier has taken corrective actions. You should maintain copies of supplier nonconformity reports in the supplier file, and discuss nonconformities during ongoing supplier evaluations. If the supplier does not cooperate or fails to address the nonconformity in an acceptable manner, or if there is a pattern of nonconformities with the vendor, then you should disqualify the supplier, and indicate that the supplier is “not approved” on the ASL. Medical Device Academy developed a Supplier Qualification Procedure, Purchasing Procedure, and associated forms that will meet purchasing controls regulatory requirements for ISO 13485:2016 and 21 CFR 820.50. These procedures will help you ensure that goods and services purchased by your company meet your requirements and specifications. If you have any questions or would like help in developing a custom procedures or work instructions that meet your company’s unique needs, please feel free to email me, or schedule a call to discuss.